Range of services offers perspectives that aid tight budgets. 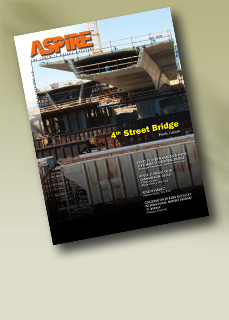 A record-setting concrete segmental bridge for Colorado focused on efficient construction and community involvement. Extensive use of precast concrete and cooperation among parties reduces construction schedule by 25 months. New York State’s first application of bulb-tee girders results from new joint design. Haunched box girders made with high-performance concrete provides strong aesthetics and long service life for Long Island replacement bridge. Severe depth limitations, heavy loads, and a short timetable created design challenges for this cast-in-place, post-tensioned concrete bridge.